This Identifying the impacts on Soil and Soil Health report was commissioned to develop a better understanding of the likely impact of climate change on Victoria’s soil resource. It also makes some recommendations on management to maximise preservation of soil health amid climate change. The Primary Industries Climate Challenges Centre (PICCC) (external link) is a collaborative venture between the University of Melbourne and the Department of Primary Industries Victoria. The Victorian Climate Change (external link) website provides a range of information about climate change in Victoria. This includes a list of relevant publications (including Victoria's Greenhouse Strategy, Climate Change in Victoria, and Understanding Climate Change). 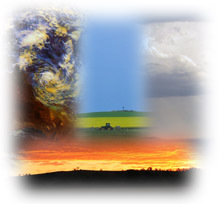 The Bureau of Meteorology website provides information on Climate Change (external link) in Australia - including: a booklet on the 'Greenhouse Effect and Climate Change'; Australian climate variability and change; global climate change; Australia's Reference Climate Station Network; climate data quality; and annual Australian climate statements. Science program. Information on the United Nations Framework Convention on Climate Change (external link). The Australian Conservation Foundation website has a range of links to relevant climate change websites (external link). A downloadable leaflet on Climate Change Scenarios for Australia (external link) is provided the CSIRO. Information on Climate Change (external link) on the World Wildlife Fund website.